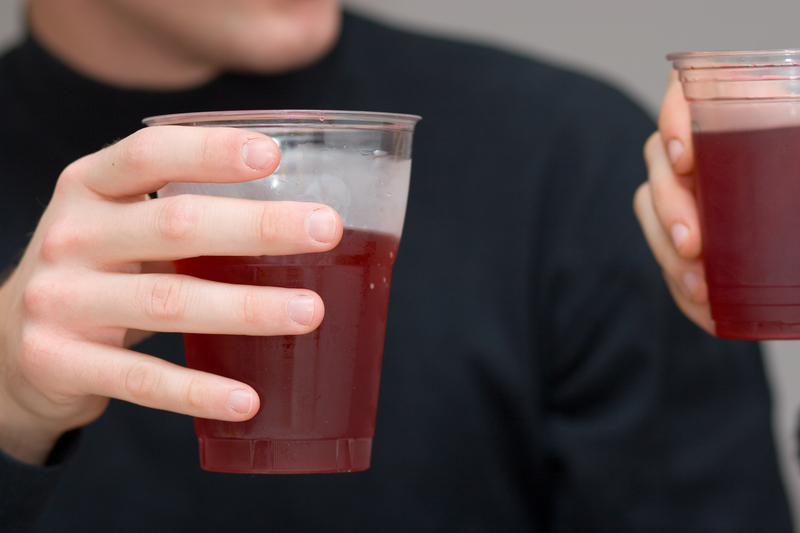 College students looking to avoid alcohol-related weight gain or get a faster buzz are increasingly turning to a seriously unhealthy habit called "drunkorexia." The practice involves skipping meals, exercising heavily before drinking alcohol, taking laxatives or diuretics, or vomiting after imbibing. A study presented last week at a meeting of the Research Society on Alcoholism suggests this disturbing trend is on the rise. Drunkorexia -- so named because it straddles the line between an alcohol disorder and an eating disorder -- isn't a new condition, say experts. "The effect is very well known and has been discussed and observed by many experts," Dr. Petros Levounis, chair of the department of psychiatry at Rutgers New Jersey Medical School, told CBS News. What is new, according to the latest study from University of Houston researchers, is that more students may be practicing the risky drinking behavior than previously thought. The findings were based on a survey of 1,184 college students, mostly from Texas, who said they had drunk alcohol heavily at least once in the past 30 day. More than 80 percent had engaged in at least one drunkorexia-related behavior in the preceding three months. Students who lived in fraternity and sorority houses were more likely to report the worrisome behaviors. "These behaviors are prevalent among college students, particularly college athletes," study author Dipali Rinker, a research assistant professor in the department of psychology at the University of Houston, told CBS News. Previous research has suggested that more women engage in drunkorexia-type behaviors, especially drinking-related bulimia, but the new study found that young men were vulnerable, too. "Our only guess for why this might be is that college men may just engage in riskier drinking behaviors than college women do," Rinker said. She added that "drunkorexia-type behaviors are also linked with increased drinking overall, negative consequences, drinking to cope and disordered drinking. "This is considered a very normative behavior among college students, and while men may be more likely to engage in some of these behaviors, women may engage in heavier drinking if they engage in these behaviors," Rinker said. It's a pattern seen with other drug use, too, said Levounis, who is also a consultant to the American Psychiatric Association's Council on Addiction Psychiatry. Students exhibiting drunkorexia who are from families with a history of alcoholism need to be especially careful, he warned. "We should not underestimate the effects of genetics. If both your parents are alcoholics, you have seven times the chance of the general public of being an alcoholic yourself. The ones with a heavy genetic load of alcoholism are the ones who end up getting in the biggest trouble with alcohol," added Levounis. A high tolerance for alcohol also goes hand-in-hand with a greater risk for alcoholism. But most young adults think the opposite is true, he said. "It seems kids who have the highest tolerance for alcohol are the ones who, on a genetic basis, have the highest risk of becoming alcoholics," Levounis said, noting that they may need more drinks to get drunk, so they do what they can to get a buzz more easily, including cutting back on food before a night of partying. It's important to recognize the warning signs in college students and educate them about the dangers of drunkorexia, said Levounis. Other steps may be needed as well. "There needs to be regulatory interventions -- making sure the nearest alcohol store is a long way from campus. Regulating parties on campus, and educating both parents and students themselves," he said. The findings of the University of Houston study should still be considered preliminary since the work has not been fully peer-reviewed by other scientists.